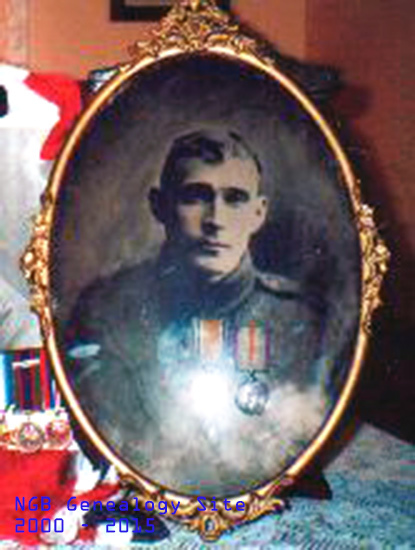 George Nicholas Martin served in both wars. According to his Attestation Paper WW I, George was Church of England. He was 28 years, 5 months old and 5 feet 7 inches tall at time of enlistment. According to records of enlistments it appears George enlisted in the Royal Newfoundland Overseas Forestry Division in Aug 1939. 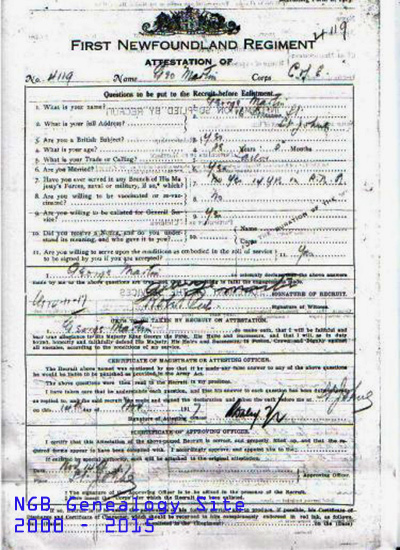 I have a letter signed by the King to my grandmother announcing he was missing in action and persumed dead. However, he was found and suffering from injuries. He received five medals as far as I know, we have three, remaining two went with his daughters to the USA. One of them is a cross which I found amoungst my grandmothers stuff years ago.